Cosmetic surgery has become so common these days that new techniques are emerging every few years. That being said liposuction is one of the most common cosmetic procedures that people from all sections of the world are now getting. One such liposuction techniques which got FDA approval in 2001 is VASER liposuction. 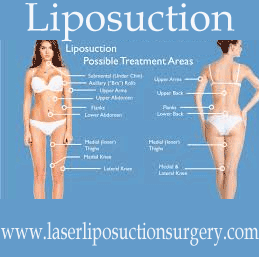 Are you eligible for VASER liposuction? Medical history – you should be healthy to go for this surgery, along with that there are certain medications that should not be taken from at least a few months before the surgery. Current weight and target weight – you should not confuse this for weight loss program. So if you are targeting a certain weight after the surgery the surgeon will expect you to be in a certain range of that weight. Healthy lifestyle – again, as this is not a weight loss procedure physicians advise that only people who keep a healthy lifestyle and can maintain that after the surgery should opt for it. Skin elasticity – this may not necessarily be an eligibility criterion, however, if you have low skin elasticity then after the surgery you may be left with sagging and loose skin. In that case, you may either have to live with it or go for another cosmetic procedure to get rid of it. That is a choice the surgeon will leave up to you. Though all liposuction surgeries are similar and not very invasive, the advantage of this technique is the minimal damage it causes to the surrounding tissues. Like laser technique, the incisions made here are also very small, but unlike laser, there is no chance of skin or tissue burns. Due to this less damage to surrounding tissue, there is comparatively less blood loss which leads to a faster recovery and less pain for the patient. The risks involved with this technique are common to all to other techniques also. Risks like bruising, swelling and any infections that can happen in these wounds are common. If the fat removal is not done evenly then you may find that the final result gives you an uneven shape. One disadvantage of this technique is that it costs higher compared to other techniques. Though the final cost will depend on multiple factors like where you are getting the surgery, how experienced the surgeon is and how much area is being covered for fat removal. However, in general, it is said to cost anywhere between $3000 and $12000. This cost is of the surgery, along with this you may have to pay for other medical bills like hospitalization costs, medicine costs, cost of compression garments, and the surgeon fees. If you are planning to go for this technique it is best advised to get it done from an experienced surgeon and not select a surgeon who may charge less but has less experience with this technique. In the hands of a good surgeon, you will definitely benefit from this technique in the way you desire. The term VASER is an abbreviation for “Vibration Amplification of Sound Energy at Resonance”. Liposuction is a fat removal technique, so as we can understand from the meaning of VASER, this technique uses ultrasonic frequency waves to break down these fats cells. In this technique, the fat cells are first injected with a saline solution which usually also contains local anesthesia. After injecting once the fat cells are swollen, ultrasonic frequency waves are used to dislocate these fat cells. Once this is done then the suction is done in the usual manner of any liposuction. As the fat cells are broken using sound waves there is no damage to surrounding tissue.